If you want vinyl windows installed on your home in the Cottage Grove, Wisconsin, area, then turn to the professionals at ABC Seamless Home Specialists. Our family-owned company has built a sterling reputation for providing top-of-the-line windows and installing them with expert precision and care. In fact, we have an A+ rating with the Better Business Bureau and have been ranked in the prestigious top 500 list by Qualified Remodeler magazine – a testament to our exceptional products and workmanship. 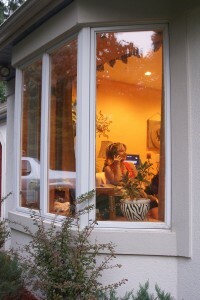 At ABC Seamless Home Specialists, all of our vinyl windows offer both thermal performance and beauty. They are ENERGY STAR® rated, thanks to features such as Low E glass, krypton gas fills, and foam insulated frames and sashes. They will help to keep your home warmer in the winter and cooler in the summer by reducing the burden placed on your HVAC system to maintain comfortable indoor temperatures, which can potentially lead to lower monthly energy costs. Regardless of which style window you choose, you can feel confident that your investment is protected, thanks to our lifetime transferable warranty and exclusive, 20-year, 100-percent workmanship warranty. For more information on the vinyl windows we have available for installation on homes in the Cottage Grove, Wisconsin, area, contact ABC Seamless Siding & Windows today. Be sure to also ask about financing options for those who qualify.